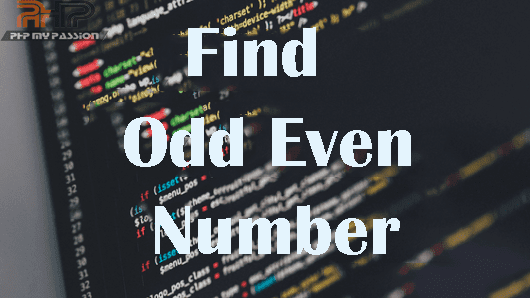 "Find odd even number " is the basic PHP program for a PHP learner. As you all aware, Odd numbers are not divisible by 2 and Even numbers are divisible by 2. So here I am gonna explain it with a simple PHP program.